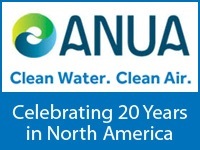 Dynamic Monitors is pleased to announce that ANUA will be showcasing the IVM6000-LP Intelligent Valve MonitorTM at the 2014 Pumper and Cleaner Environmental Expo in Indianapolis, IN this week. The Exhibition runs from Feb. 25-27, 2014 at the Indiana Convention Centre. Engineers, designers, regulators and septic installers won’t want to miss a demonstration of the IVM6000-LP at ANUA’s Booth 4200. The IVM6000-LP is the first electronic monitor and early-warning alert system for all major third party 6000 series mechanical distributing valves by K-Rain®, Clarus/Zoeller®, Orenco®, and others. Previous Come see us at the NOWRA Convention and Exhibition in Nashville!